Continuing its global expansion, Rimon Law has opened a new Shenzhen office, representing the growing firm’s first presence in China. This is the third foreign office for Rimon, the only alternative law firm to have a truly international presence. Rimon also has offices in Tel Aviv and Rome. Opening in Shenzhen, the firm’s 20th office, was a natural move for Rimon, one of the world’s leading alternative law firms. Rimon’sattorneys have represented Chinese enterprises in cross-border IP transactions, business investment deals, and dispute resolutions. They have also counseled U.S. companies on a wide range of legal matters with regard to mergers and acquisitions, foreign direct investment, technology transfer, IP protection, and contract negotiation involving Chinese or Asian counterparts. The office opens on the heels of Rimon adding a number of attorneys with very strong ties to China. Earlier this year, Rimon welcomed Litigation and Intellectual Property partner Dr. Peng Chen, who joined the firm earlier from Morrison & Foerster LLP and splits his time between Shenzhen and Rimon’s San Diego offices. Among the firm’s Partners with an extensive books of business in China include James Chapman, Letao Qin, Ajay Whittemore, Marc Kaufman, Zheng Liu,Juan Zuniga, Robert Q. Lee, Matthew Poppe, Chris Terry, David Xue, and Fred Chang. “With the addition of more partners who have a truly international practice, we have found a need to expand our footprint into more markets globally. Shenzhen, which is one of the market leaders for tech and IP in the world, was a natural place for Rimon. 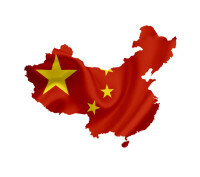 Our firm includes numerous lawyers who have lived in China, worked with Chinese businesses, government agencies and local law firmsand even had the experience of opening up branch offices in China for multi-national law firms. Opening the Shenzen office was a step that will benefit our clients,” said Michael Moradzadeh, CEO of Rimon. The opening of the Shenzhen office comes after a year of growth for Rimon. The firm recently expanded its team of top Intellectual Property attorneys with the addition of an eight-person group from the Silicon Valley office of Duane Morris, including four partners, Karineh Khachatourian, Amir A. Tabarrok, Dr. David T. Xue and Justin W. Zahr. Rimon is widely known as being at the vanguard of legal innovation. The firm has been repeatedly recognized by the Financial Times as one of North America’s most innovative law firms. The firm’s Managing Partners were both named ‘Legal Rebels’ by the American Bar Association’s ABA Journal and have spoken on innovations in the practice of law at Harvard and Stanford Law Schools. Rimon and its lawyers have also received numerous awards for excellence, including from Best Lawyers and Chambers.